What are the Iowa Games? 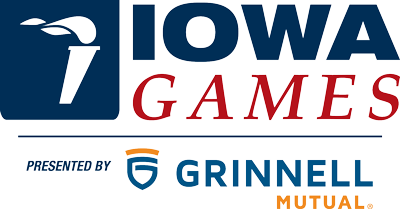 The Iowa Games began in August of 1987 as a weekend event, featuring 16 sports and 7,104 participants (nearly a record number at that time for a first-year state games). For the first time, weekend athletes, youth and senior citizens could experience the thrill of great performances and satisfaction of doing their best in a statewide Olympic-style competition. Today, over 20,000 athletes take part in Iowa Games events throughout the year!